Online lingerie sales are growing, is your website growing your sales or letting you down? One way to tell if you’re on track is to look at your conversion rate. Is it increasing or declining? 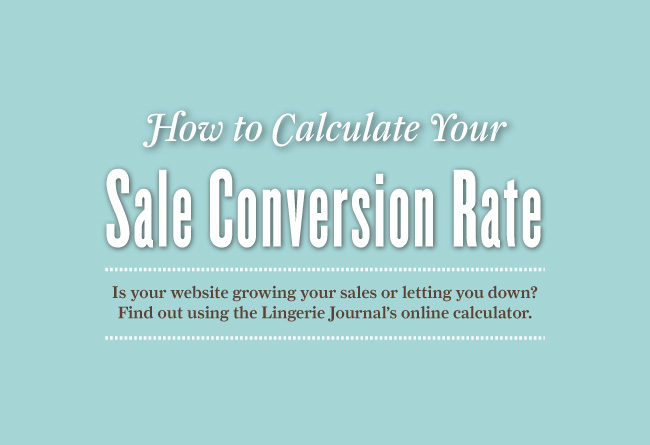 Is your conversion rate as high as it should be? Do you even know what ‘conversion rate’ is? Here at the Lingerie Journal, we’ve decided to try and help you, and the industry at large, to answer these questions.